His paintings speak of elegance. “Western oil paints are wonderful for expression but I also use the splashedink- and colour method of the famous traditional Chinese painter, Chang Da Chien,” said the artist, and we call agree that this combination has brought about exquisite masterpieces. Known for rotating his canvas to allow the liquid paint to flow slowly, they eventually begin to settle into shapes of ponds, flowers or leaves. He does not venture far from his depictions of the classic lotus flower, but they are all majestic and radiant, filled with romanticism and idealism. 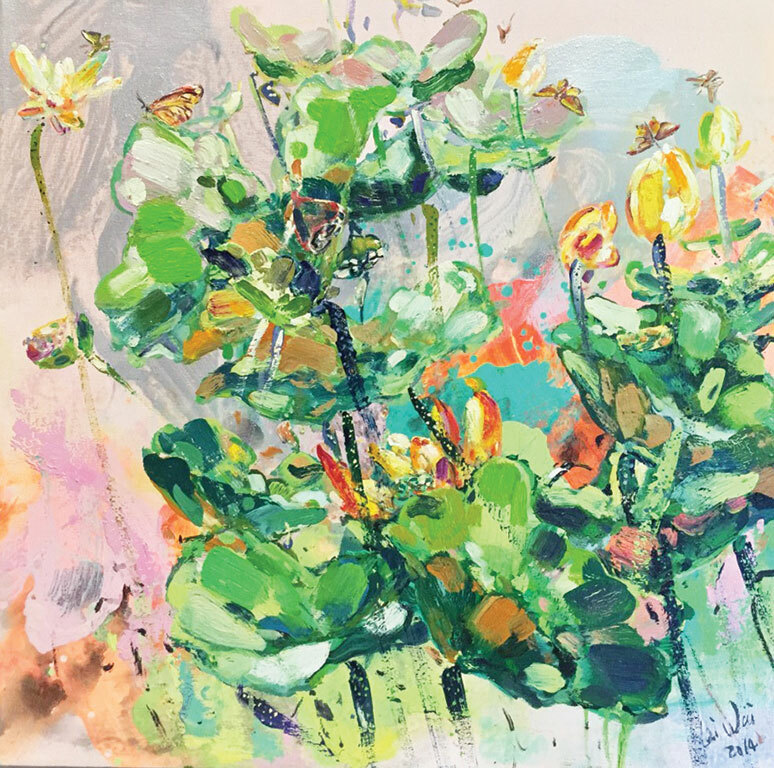 “I’m in the school of thought that believes artists should push themselves experimenting with different colours and techniques,” he explained, and he does so in this piece, experimenting this time with calmer, modest and muted colours in lieu of his usual vibrant greens and yellows. Whatever the outcome is, Soon Lai Wai’s paintings are definitely mesmerising and sensual.